#39 Rated condo - Riverside Dr./West End Ave. This handsome, pre-war, brown-brick apartment building was converted to condominiums in 2001. The 13-story building has 111 apartments. The building has a two-story limestone base, a canopied entrance and attractive façade ornamentation. It has a concierge, a large lobby, quoins, a cornice, protruding air-conditioners and consistent fenestration. 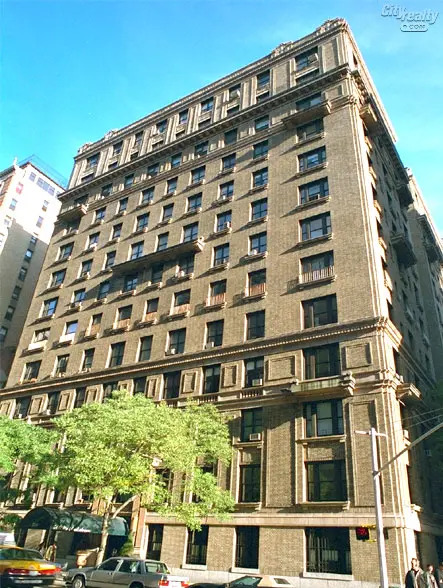 One block from Riverside Park, it has a fine, central Upper West Side location with good public transportation and excellent local shopping. This is a handsome section of West End Avenue. The building has no health club and no balconies. "This handsome, pre-war, brown-brick apartment building was converted to condominiums in 2001. The 13-story building has 111 apartments.